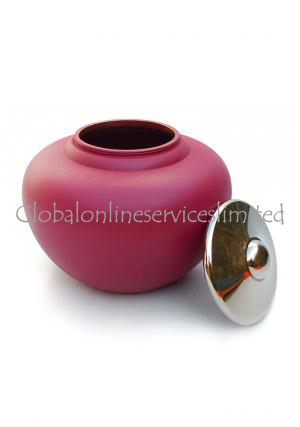 Large pink adult funeral human ashes urn is made of solid brass, moulded well into ancient chinese vase. 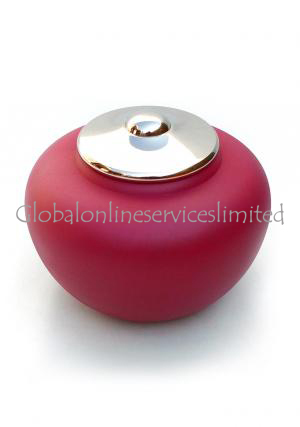 The beautiful large adult urn is well finished with great presence of pink enamel. 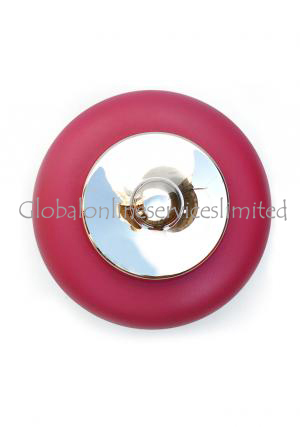 The memorial pink adult urn illuminates the area and brings happiness in leaving close to loved ones even after demise with memories in the urn. 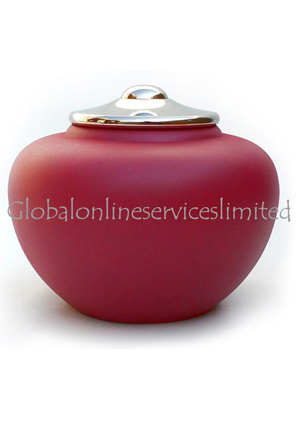 The brass mother large urn for adult ashes in pink has nickel plating with lid on top to secure the ashes inside the lid. The urn is measured to 8.2 inches in height & width, 7 inches in depth to preserve 180 cubic inch of adult ashes. 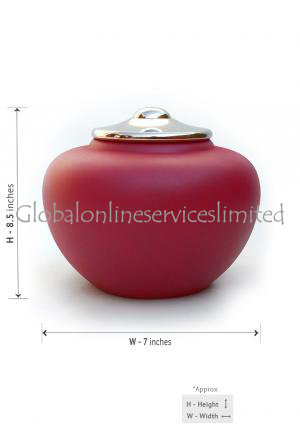 The approximate weight of an empty adult urn is 2.5Kg.